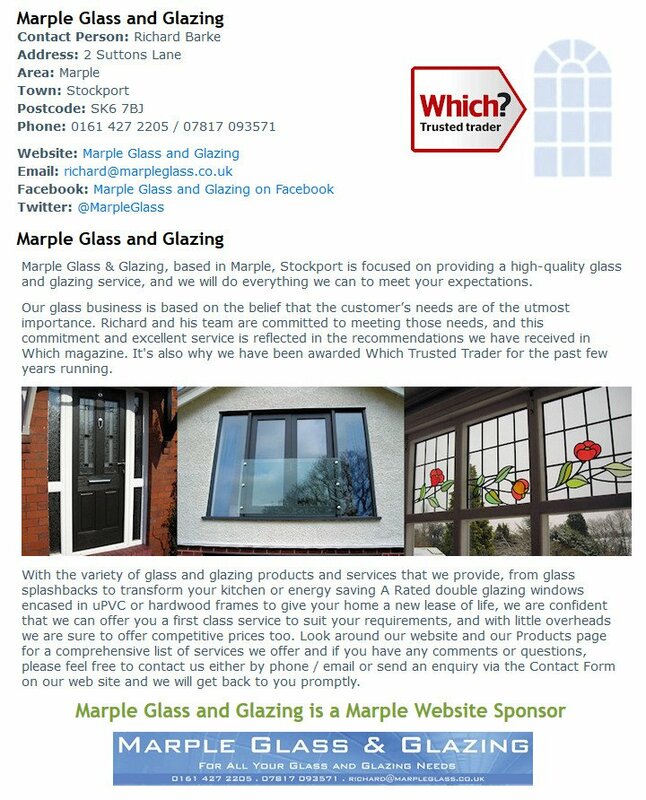 Thank you to Marple Glass and Glazing - provider of commercial and domestic double glazing and glass cut to size for just about any purpose - for renewing sponsorship of the Marple Website. Marple Glass and Glazing is a Which? Trusted Trader. I'd like to welcome The Marple Website's newest sponsor, Marple Glass and Glazing - provider of commercial and domestic double glazing and glass cut to size for just about any purpose.